A map leading the way across the continent. 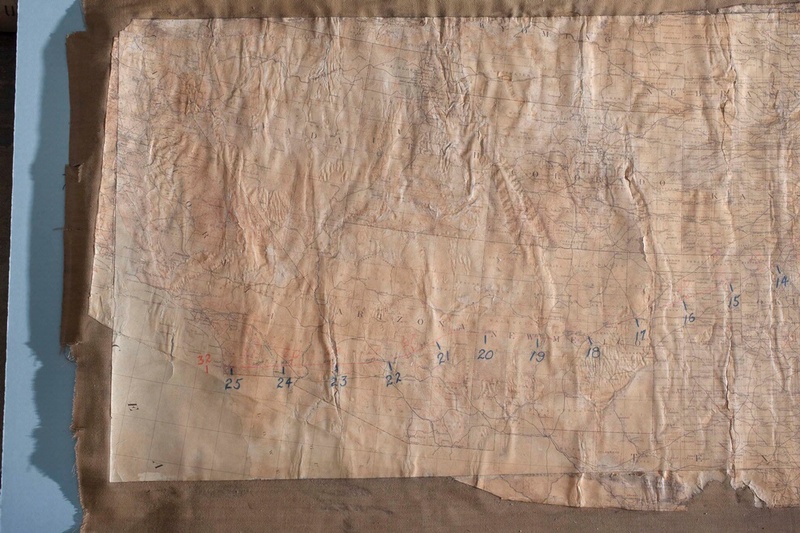 John A. Macready and Oakley G. Kelly used maps such as this to find their way across the United States. Find out more about Map of the T-2’s Transcontinental Flight.